Shanghai (CHINA) – Toyota Boshoku Corporation (TOKYO: 3116) will present a booth in the 18th International Automobile Industry Exhibition (Auto Shanghai 2019) held from April 16 to 25. This year marks Toyota Boshoku’s fifth showing at the exhibition. 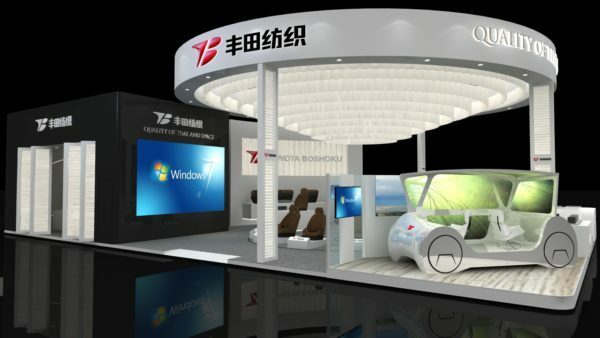 Under the concept of “QUALITY OF TIME AND SPACE”, Toyota Boshoku’s booth showcases the technologies and products developed for autonomous driving and next-generation vehicles as well as a variety of seats and interior products developed and manufactured in China. Introduces seat technologies that detect the changes in occupant’s physical status and assess sleepiness and emotional state, and an interior space model that supports level-five autonomous driving. Seat and door trim products installed in Toyota’s LEVIN special edition, and seat installed in Toyota’s PRADO special edition (Premiere) that are developed and manufactured in China by Toyota Boshoku group. Introduces the base material for the door trim equipped in LEXUS LS that achieved unprecedented lighter weight by combining unique molded foam technologies with a base material that utilizes Kenaf. Cabin air filter with high-performance is also displayed.